Follow in the footsteps of Frederick Douglass during his teenage years in St. Michaels. 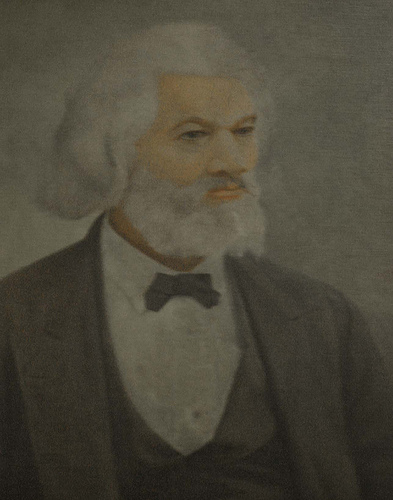 Arriving as Frederick Bailey, a rebellious 15 year old, in 1833 and leaving in 1836 determined to acquire his freedom, his years in St. Michaels were critical in the development of this great man who went on to become probably the most important African American figure in the 19th century. The museum's 90 minute walking tour will offer an historical perspective of Mr. Douglass' life in enslavement and his return to reconcile with his former master. In 1833, Thomas Auld took Douglass back from Hugh after a dispute ("[A]s a means of punishing Hugh," Douglass wrote). Dissatisfied with Douglass, Thomas Auld then sent him to work for Edward Covey, a poor farmer who had a reputation as a "slave-breaker." There Douglass was whipped regularly. The sixteen-year-old Douglass was indeed nearly broken psychologically by his ordeal under Covey, but he finally rebelled against the beatings and fought back. After losing a confrontation with Douglass, Covey never tried to beat him again.